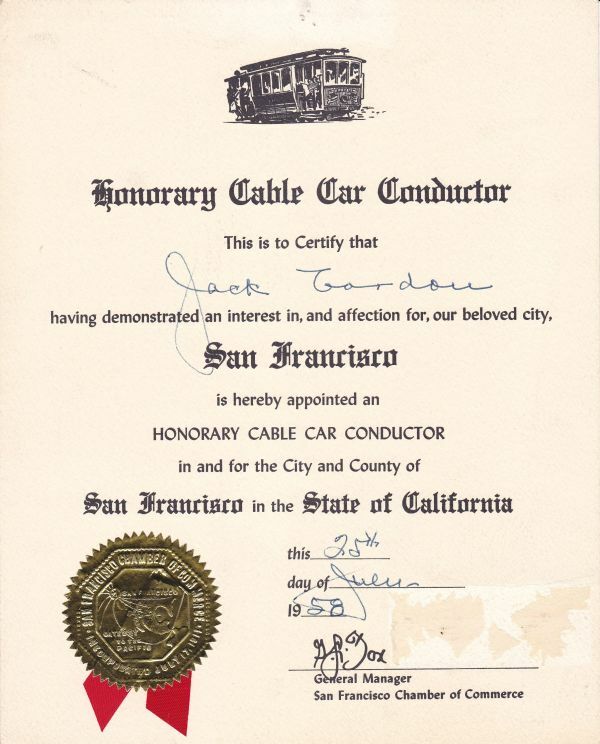 JackGordon.org: Jack Gordon, honorary cable car conductor? I didn't know that he was in San Francisco in the summer of 1958 (But then, I was only four). I do know that Jack Gordon loved to ride the cable cars. From the mid-60s till the late-80s, he took advantage of the California State and Golden Gate Restaurant Conventions to visit the City by the Bay every summer for at least 3 or 4 days. And cable cars were a great way to get from the hotel near Fishermen's Wharf to the downtown convention center.